That’s what Jann Arden told me a few years ago when I asked her for some advice. It was a big turning point for me. I like to think it was unique advice she gave only to me, but it’s what she tells everyone, it’s on her Twitter signature. It was still really helpful because, well… because it was Jann. It’s worth pointing out that Jann has something figured out. Because tonight (Wednesday, March 20th) Jann Arden will do something exceptional. Her show “JANN” has it’s premiere tonight on CTV. It’s a sitcom based very loosely on her life. Having it premiere isn’t the exceptional part. I watched the digital download of the first episode, and I really laughed. It’s hilarious, and everyone I’ve talked to who has worked on the show says it only gets better. How anything can get better than Jann racing through a farmer’s field and desperately trying to climb through a barbed wire fence in her high heeled boots, I’m not sure, but they tell me it gets even better. Having it be great isn’t the exceptional part. Jann Arden started her career over 35 years ago as a kid out of high school who learned to play guitar in her parents’ basement, who wrote songs, and who dreamed of finding an audience to hear her sing them. Since then, she hasn’t stopped working: putting out hit albums, putting out best-selling books, selling out concert tours; launching a podcast; telling stories; making us laugh; and making us feel good about the world. Her feet haven’t stopped moving in nearly four decades. I can’t think of any other Canadian performer who has carved out a path like she has, for as long as she has. And her latest project is a sitcom. Based on her life, created in her home city of Calgary. That’s not only exceptional, it’s almost unheard of. So I asked Jann Arden. I mean, I still get really wobbly and I still get nervous about doing the right thing, but when the ground wobbles, I try to just be myself. When Jann’s sad, you know it. When she’s happy, you know it. When she says something, she means it. When she writes something, she believes it. And when she sings something, you feel it. And when she makes you laugh, which is often, it’s because in the midst of the funny is… the truth. So tonight, I’m going to watch the premiere of her show. I’ll laugh when it’s funny. I’ll be entertained. But mostly, I’ll be inspired at this incredible Canadian who has managed to do something that’s almost impossible. She’s had a long, beautiful career that’s already more than anyone could dream of, and tonight she gets to start a whole new chapter. And whether it works for 20 years or two seasons, it doesn’t matter. What matters is she’s done it by taking the advice she gives most often. 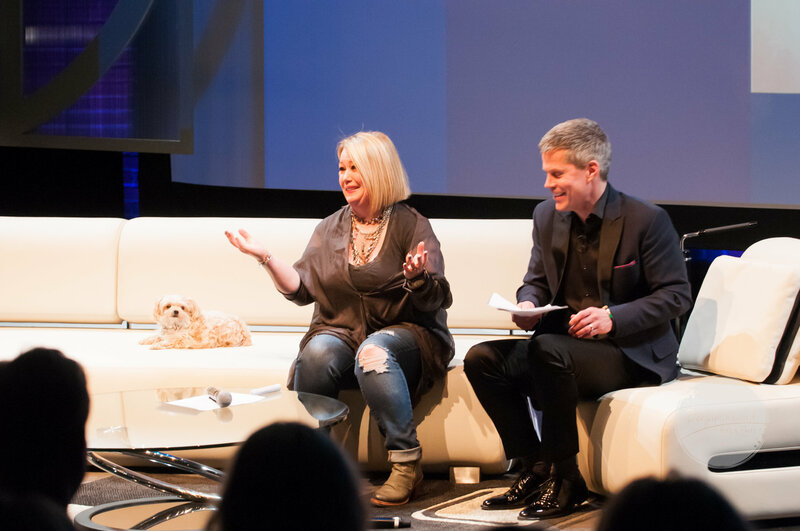 In some ways Dave Kelly Live on April 16 is about me and Jann Arden hanging out and having a great conversation about her life. But in other ways, it’s going to be me trying hard to do what Jann does. I’ll try to be myself. 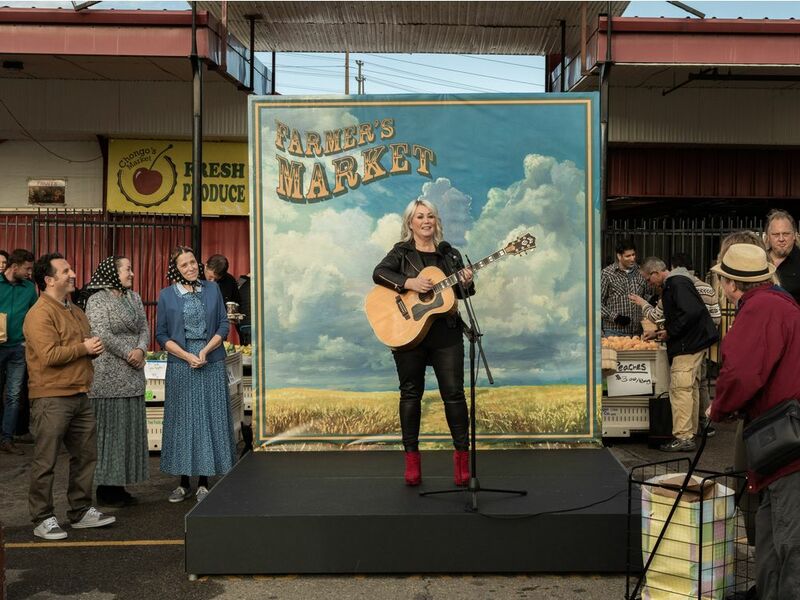 In Jann, Arden plays a fictionalized version of herself: a singer songwriter of a “certain age” dealing with the harsh reality that her former music career is now on a slow, relentless slide into obscurity.